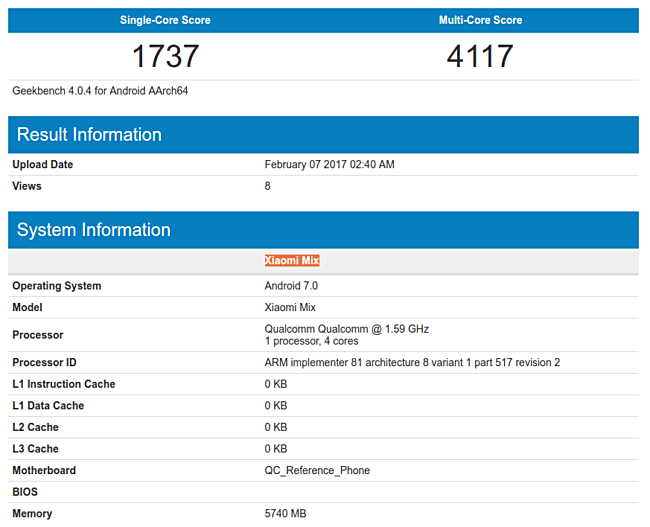 Looks like the Nougat update for the Xiaomi Mi Mix is currently under testing as an Android 7.0-powered unit has been spotted on popular benchmarking website Geekbench. This shouldn't really come as a surprise as the Chinese company already confirmed back in December last year that the Mi Mix Nougat update is coming soon. Sadly, there's currently no information on exactly when the roll out will begin, but here's hoping that testing goes smoothly and the update arrives sooner than later.